Some believe that fairy tales only exist between the well-thumbed pages of a children’s book. 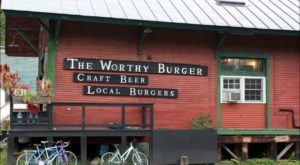 Others know that occasionally they can be found in everyday life. 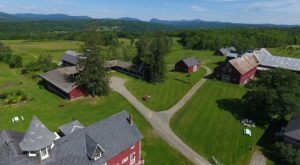 If you’re searching for a real-life fairy tale in Vermont, there’s only one place to go looking. South Hero is a small town full of whimsy where miniature castles rule over a forest of colorful birdhouses… or at least it seems that way. 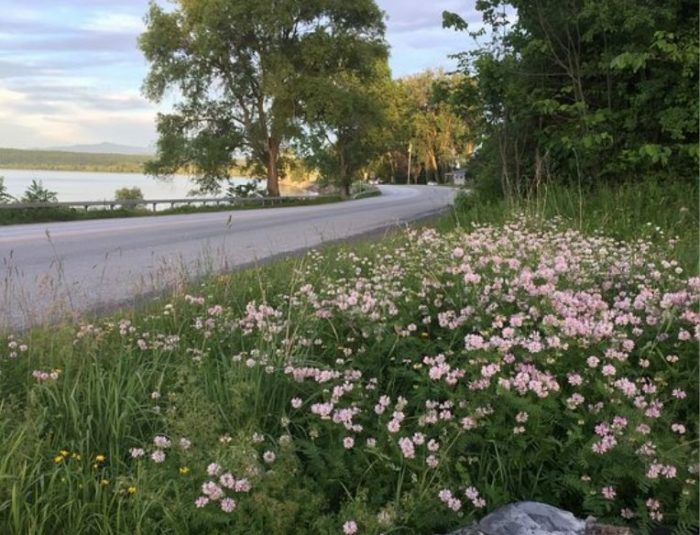 To find South Hero, you must journey to Grand Isle on Lake Champlain. The best way to see the magic is to take a bike ride around the island. 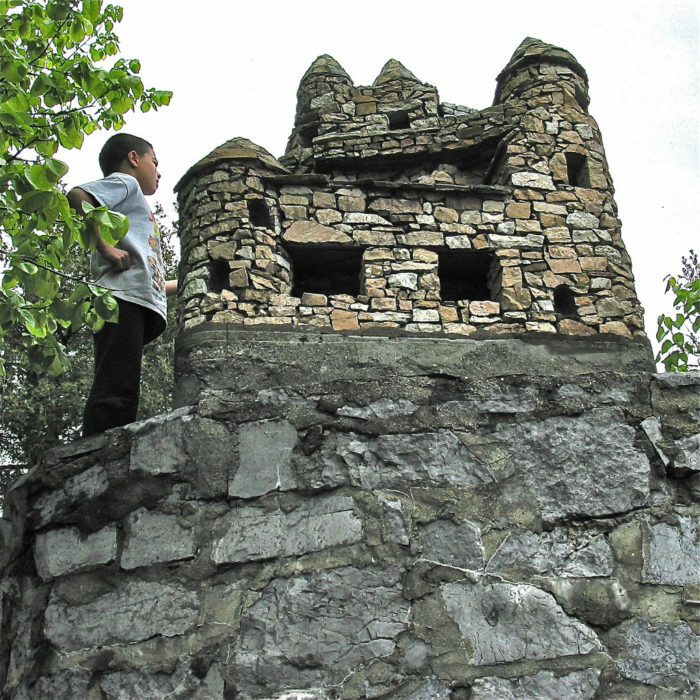 The small fortresses were built by Harry Barber, a Swiss immigrant-turned-local gardener. Out of love for his former homeland, he builds these castles as a tribute to the country he left behind. Each castle is completely unique with bridges, windows, moats, and other fine characteristics. Some are even known to have electrical wiring and running water in the moat. 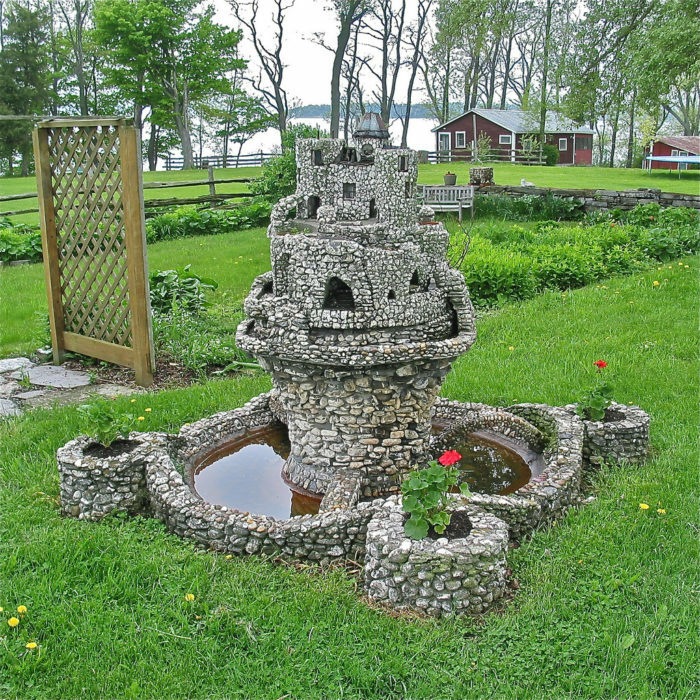 The castles while small in stature are grandiose in detail. When you peer at them, you almost expect to see tiny royal people through the windows. 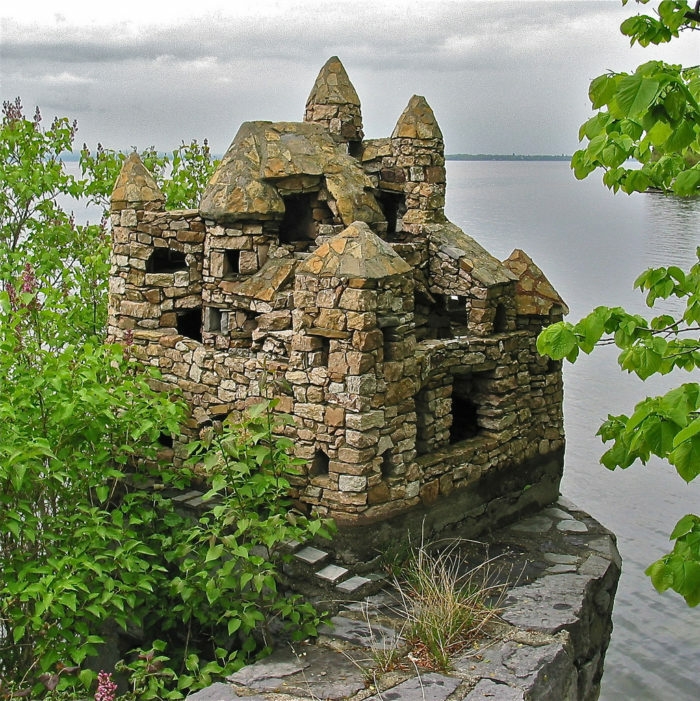 Harry Barber's castles are all located on private property but a handful can be seen from the roadside in South Hero. But what is a castle without a kingdom to oversee? 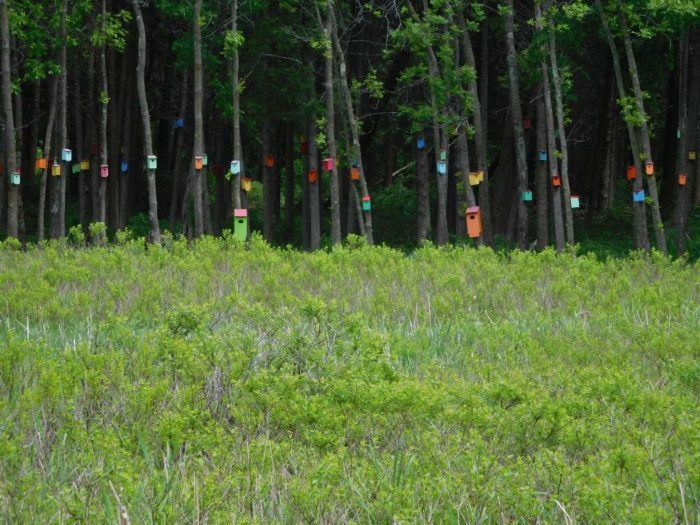 Also in South Hero is a mysterious forest of about 800 colorful birdhouses. 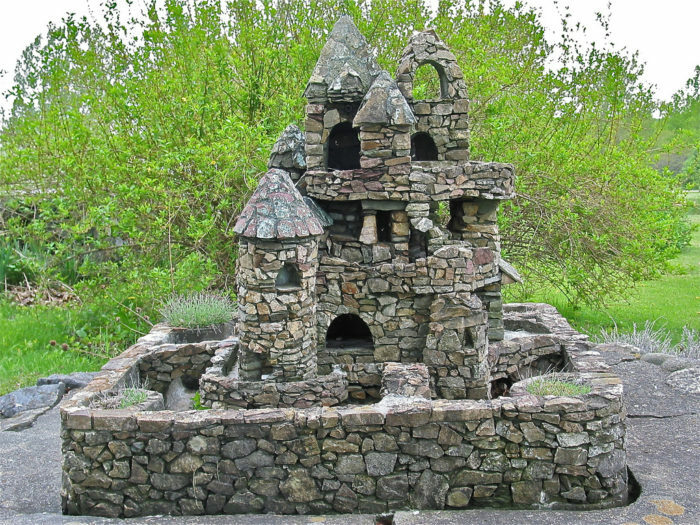 While the birdhouses arrived decades after the castles, they coexist in the same fairy tale kingdom. 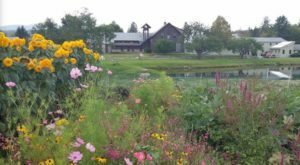 The birdhouses are named Jelly Bean Suites and the thriving village is occupied by swallows each year. 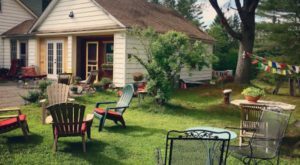 Neighbors, Hank and Jay, started with just 20 birdhouses constructed to wage war on a swampy mosquito-ridden area that bordered their property. 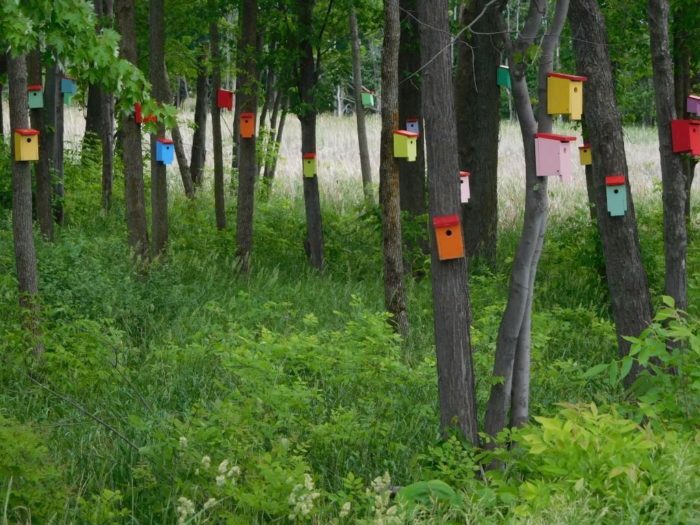 After each birdhouse is built, it's painted a bright color with a red roof. As the years passed, the number of dwellings continued to increase. The birds seem to love their own personal quirky village and most houses are occupied each year. 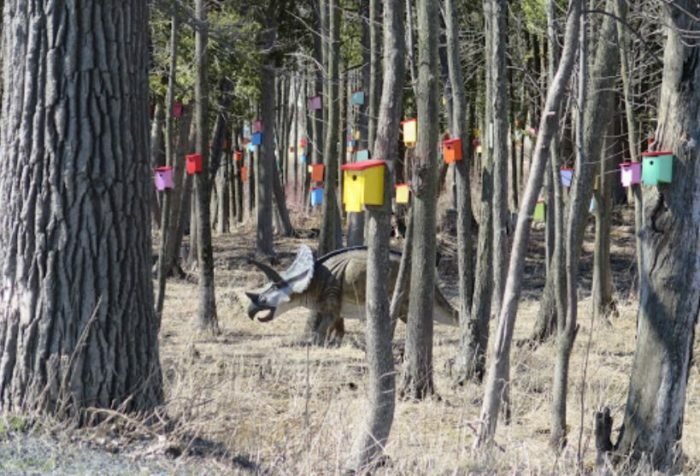 The birdhouse forest is also home to dinosaurs. And why not? 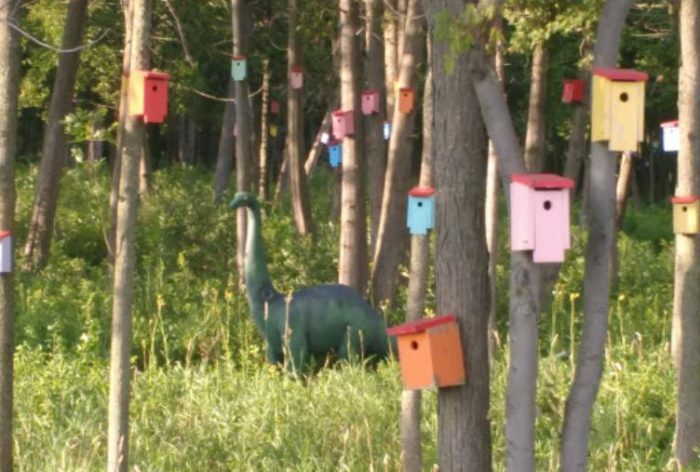 The woodworking neighbors also created these prehistoric creatures to reside in the swamp as well. 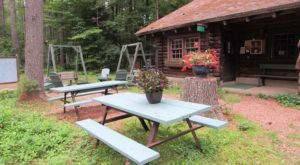 To see the whimsical forest of Jelly Bean Suites go to West Shore Road near White's Beach in South Hero. 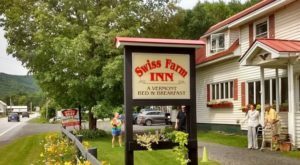 South Hero is a beautiful town where fairy tales do exist. 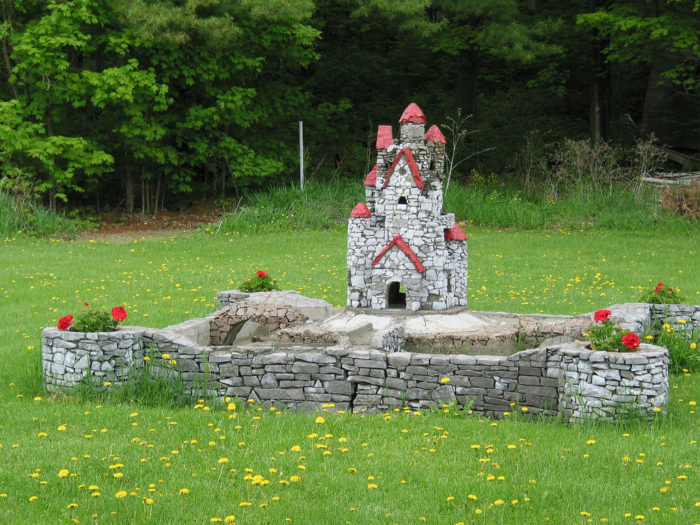 Miniature castles, bright birdhouses, and dinosaurs peacefully inhabit the same land in this small and extraordinary lake town in Vermont. 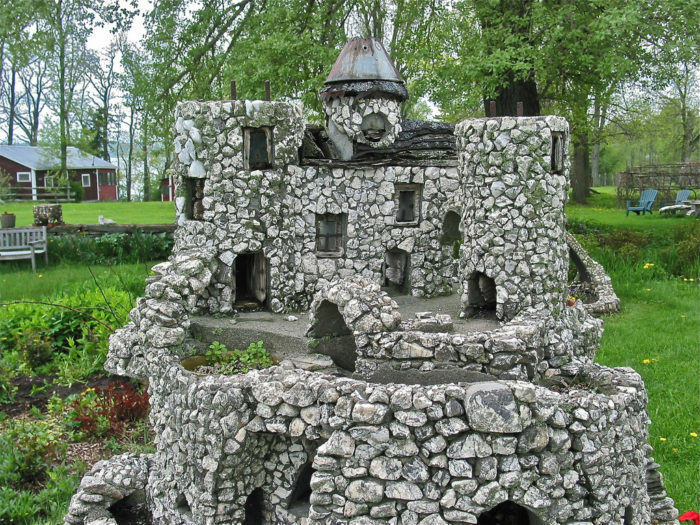 Learn more about Harry Barber’s miniature castles here. 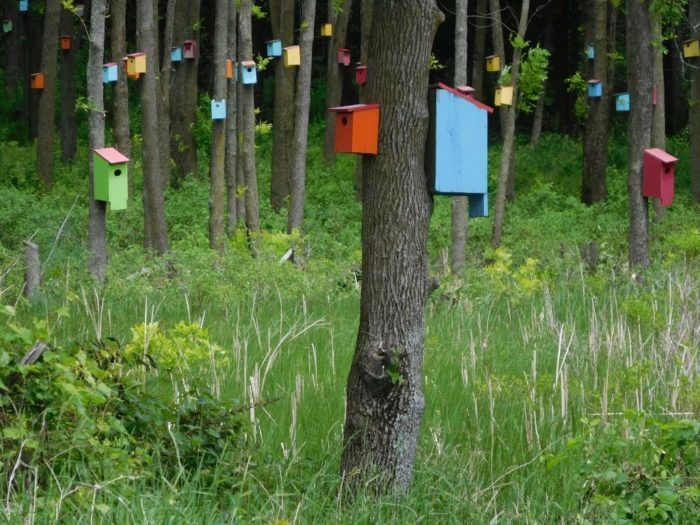 And you can get all the details on the birdhouse forest here. 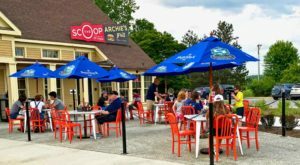 Have you ever visited South Hero? 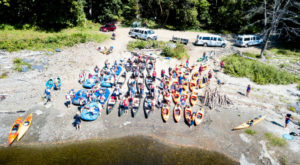 Share your experiences and photos if you have them in the comments section below.